Grace Stark closed her season in impressive fashion with a pair of outstanding results at New Balance Nationals Indoor this past weekend in New York City. Stark claimed second place in the 60m hurdles championship final in a record setting time of 8.05 (officially 8.047). This lowers her previous state best time of 8.12 which she achieved at February's UK High School Invitational. 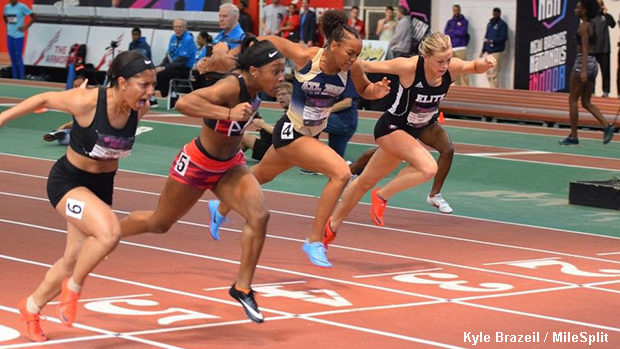 Stark, along with race winner Tia Jones of Woodstock, GA, narrowly missed the all-time US record of 8.02 which belongs to Tonea Marshall of Texas from New Balance Nationals Indoor in 2016. Jones clocked a time of 8.05 (officially 8.044) to secure first place in Sunday's event. In addition to her strong showing in the 60m hurdles event, Grace Stark captured 6th place in the 60m finals with her time of 7.42. Prior to this, the White Lake Lakeland junior posted a 7.40 result in the 60m semis, which represents a Michigan No. 1 and a US No. 7 for the 2018 season. This is also a new pr for Stark. 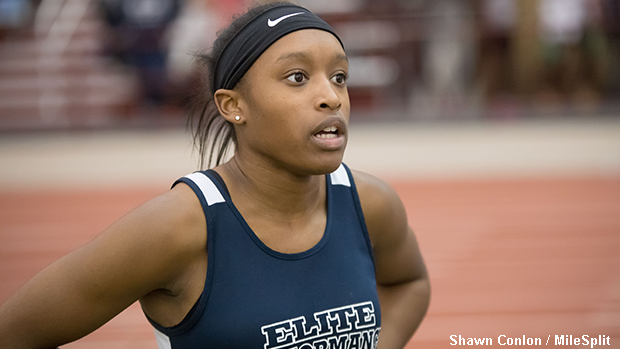 Grace Stark's time of 7.40 in the 60m at NBNI places her at No. 3 on Michigan's all-time list.